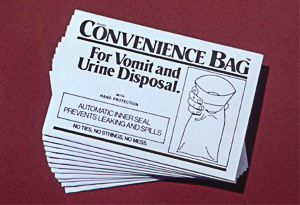 Used for disposal of vomit and urine. Wide opening at top facilitates use. Bag self-seals contents to avoid spillage. 12 bags per package.